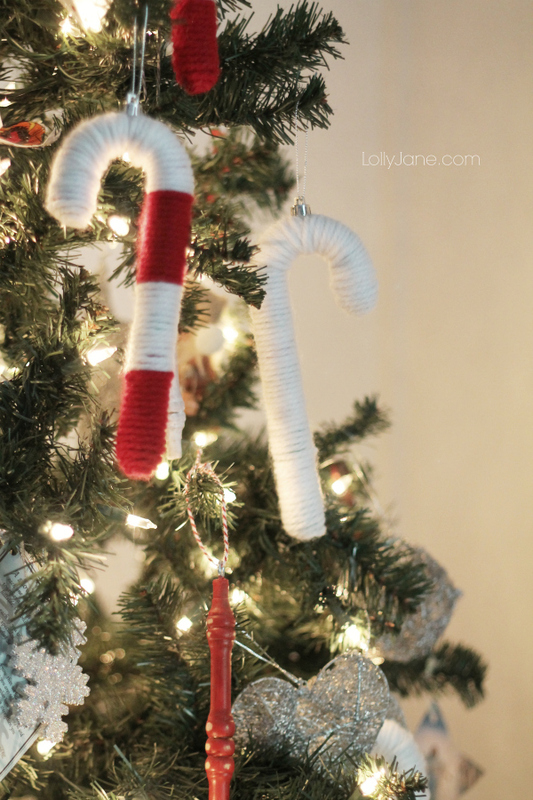 We’ve had tons of people ask where we got our yarn candy canes to which we reply “Clearance at a store when visiting Utah, boo!” After spying these cute chunky canes at the Dollar Store, I thought I could recreate the look for less! We’ve huge into Christmas decor and have shared several posts this season already, you can’t have enough Christmas cheer! 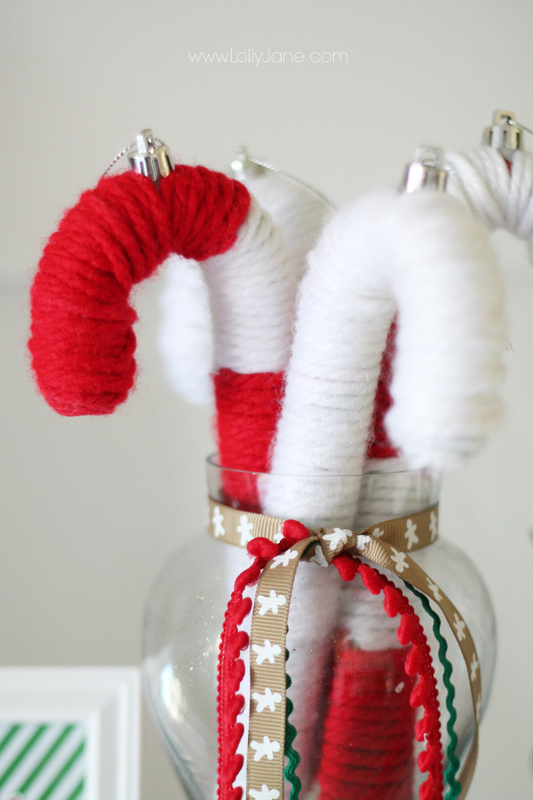 Hope you like these cute yarn candy canes, they’re inexpensive and a breeze to create. 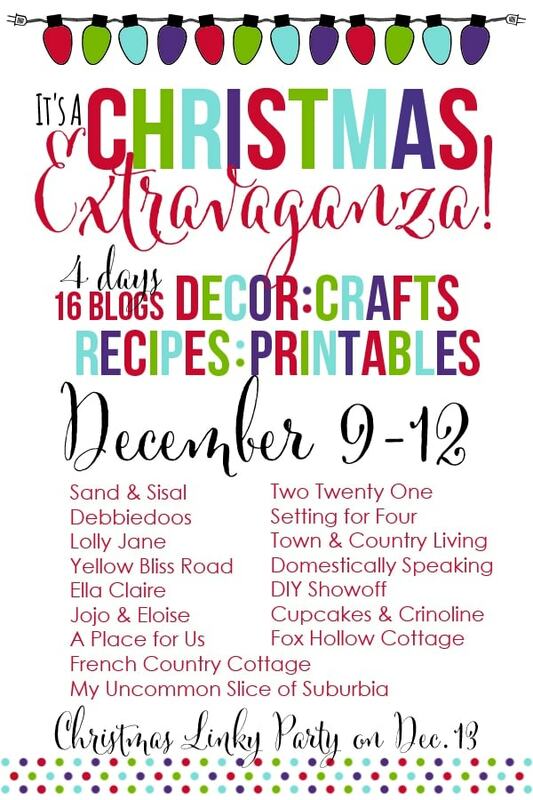 Scroll down for the tutorial, we’re excited to be apart of this fun Christmas Extravaganza Blog Hop! 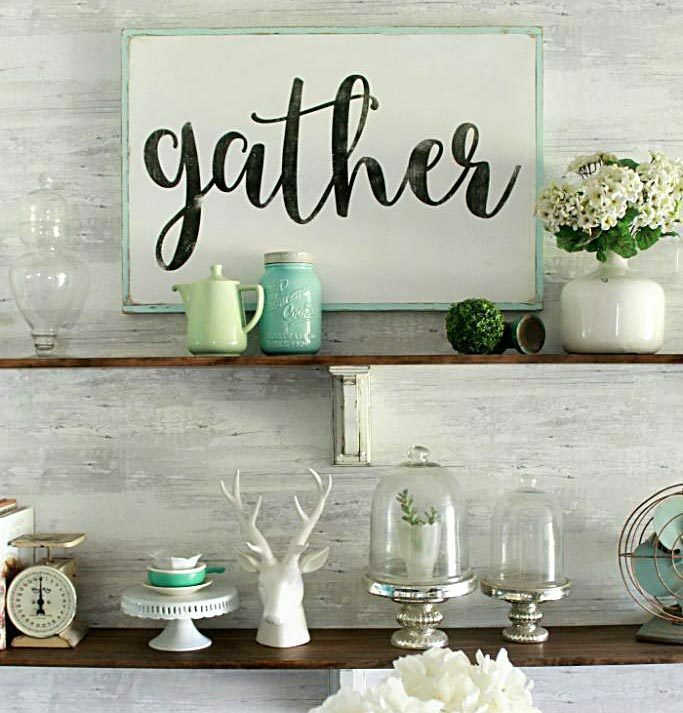 There are sixteen recipes, tutorials, printables, crafts and more! And if you’re new for the Christmas Extravaganza party, welcome! We’re happy you’ve landed here!! 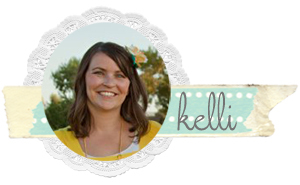 Be sure to visit my friends listed below to see tons of Christmas inspiration! and Friday it’s Your turn – It’s the Christmas Extravaganza Linky Party. Apply decoupage to bottom of candy cane, put yarn in middle and hold down with thumb, start encircling the candy cane, it’ll stick easily so keep wrapping. You can get creative with your patterns, for this tutorial, I went about 2 inches up with red, snipped off the red, applied a dot of decoupage and started with white. Finish the top of the cane with more decoupage. So fast and easy. 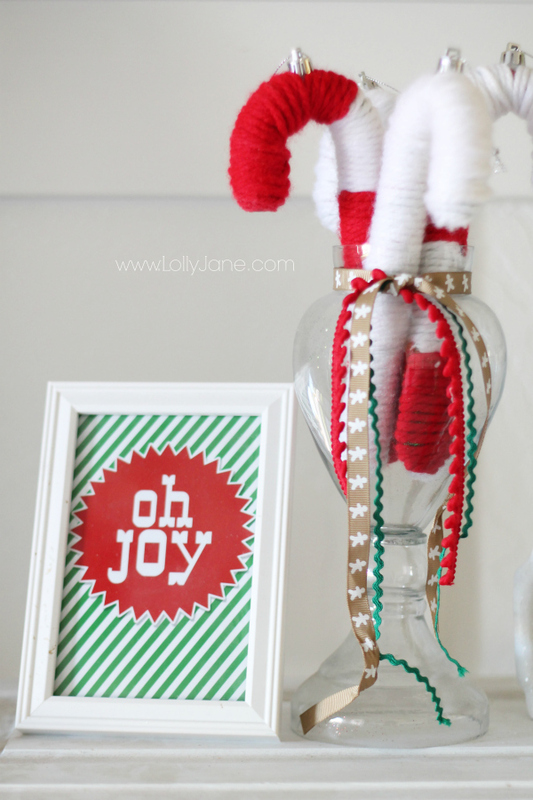 Or you could use them for what they are for, lol…yarn candy cane ornaments! 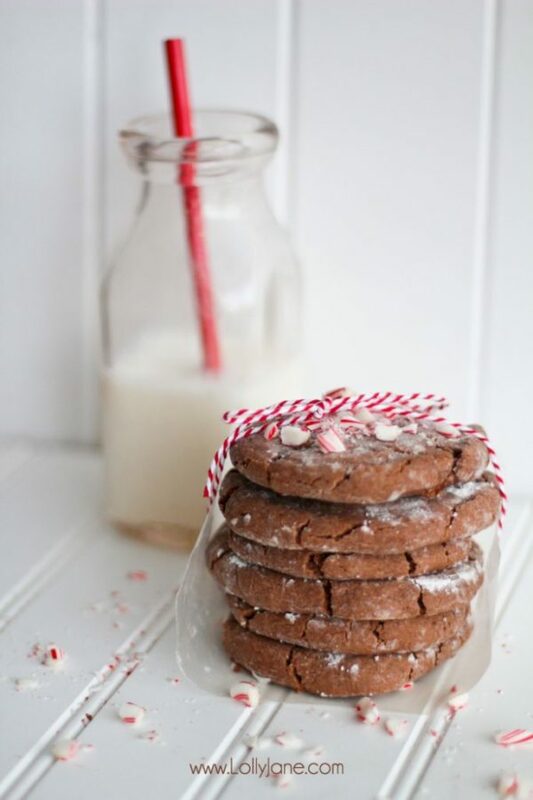 plus all of our holiday treats like these chocolate mint crinkle cookies. Keep up with us on Instagram, Facebook, Pinterest and Twitter where we’re always updating! 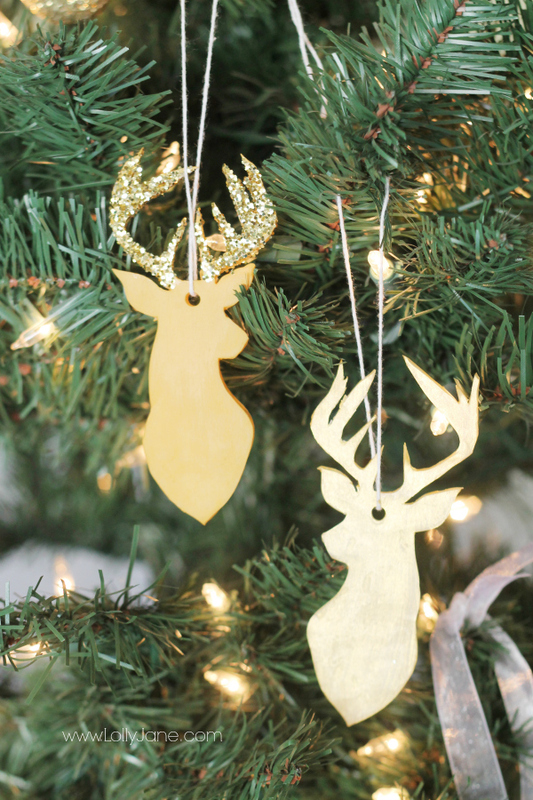 I am loving all of your handmade ornaments! These are just too stinking cute!!! 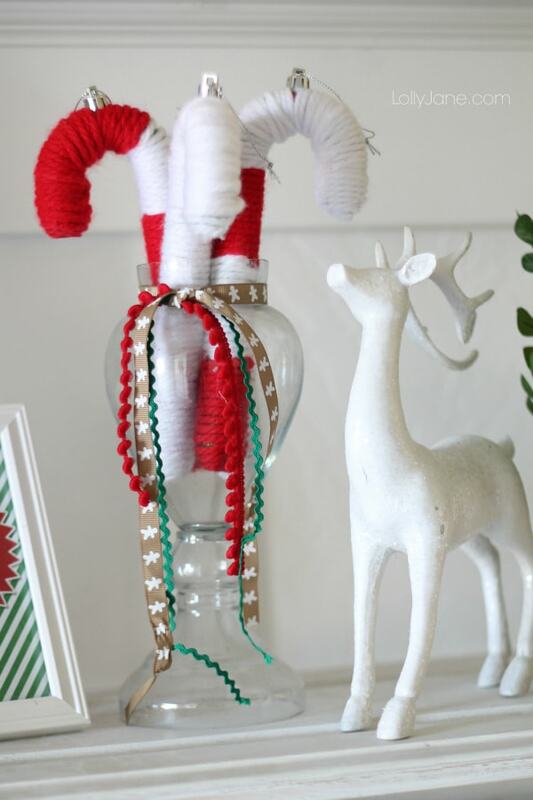 I love easy Christmas crafts because they look cutest and I’m lazy with a capital ‘L’. If I start a project that’s too involved, odds are I’ll never finish it. My most successful projects are the ones that I can finish in one sitting. So this is right up my alley. Plus, my yarn stash is getting out of hand. cute idea and how fast! I SERIOUSLY want to come and Shop at your house. 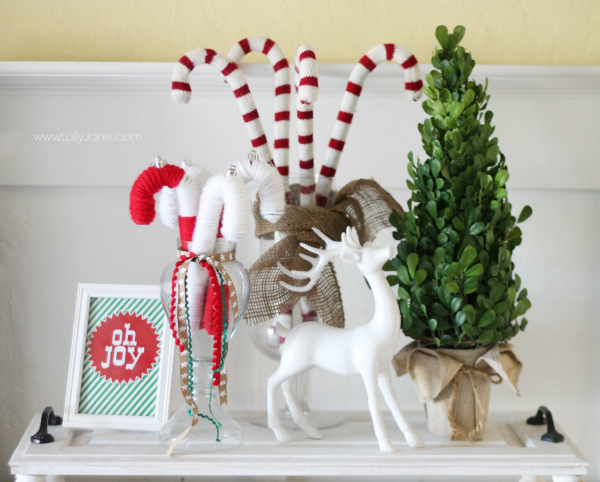 The Candy Canes are ADORABLE, Loving your Eighteen 25 Printable, the Reindeer Ornaments ( So So Cute!!!) I have a Reindeer Post coming 😉 AND!! The cookies, what better way to end my Shopping Trip at your house,. With a nice YUMMY stack of Cookies. LOVE it ALL!!! How cute! 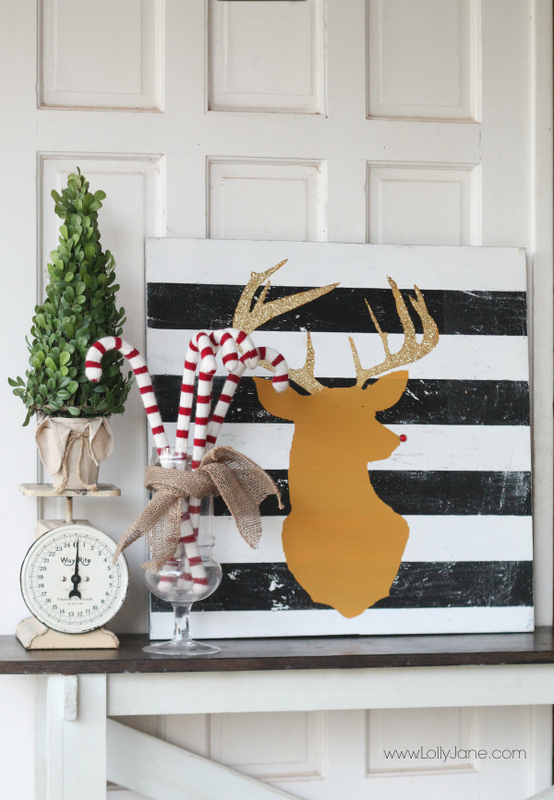 Pinning to make with my girls over Christmas vacation… LOVE! So cute~ I love this idea!! So fun girls! I love easy crafts. I think the kids would have so much fun making these! Thanks for sharing!